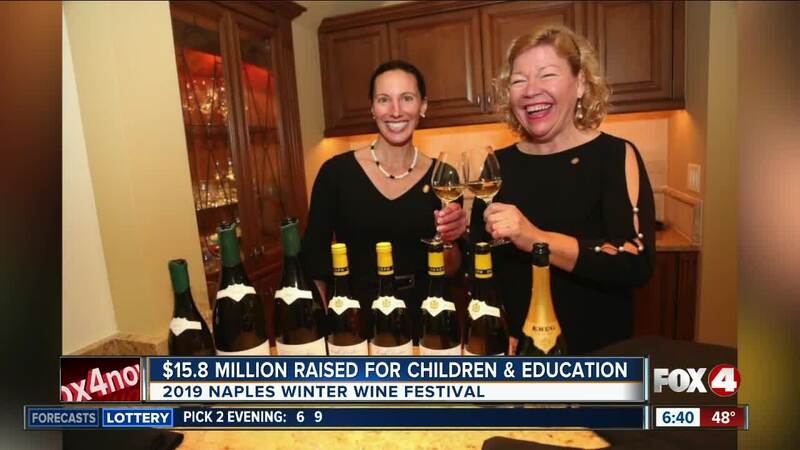 This year the Naples Winter Wine Festival raised nearly $16 million. NAPLES, Fla-- This year the Naples Winter Wine Festival raised nearly $16 million. The money raised at the weekend event will go to the Naples Children and Education Foundation. It also includes more than $3 million for "fund a need". It's an organization supporting children's mental health. Since 2001 when the festival started, it's raised more than $191 million.